The public has until Friday, Dec. 1, to comment on the Interior Department’s controversial efforts to redo sage grouse protection plans announced in 2015. Interior Secretary Ryan Zinke ordered a review of the federal management plans in June, in what he called an effort to balance habitat conservation with “job creation and local economic growth,” including from extractive industries like oil and gas development. A greater sage-grouse male struts for females near Bridgeport, California. The 2015 sage grouse protections — 98 federal land management plans that span 70 million acres across 10 states — were the culmination of a decade of unprecedented collaboration among ranchers, environmentalists and federal and state governments. Because of those plans and other conservation measures, the federal government in 2015 decided that the greater sage grouse did not need to be added to the list of threatened and endangered species. That gave ranchers, land managers and other parties certainty about where they could develop the landscape without compromising critical sage grouse habitat or running afoul of the Endangered Species Act. The decision was a clear sign that those plans, which allow for some grazing and oil and gas drilling, have been working. 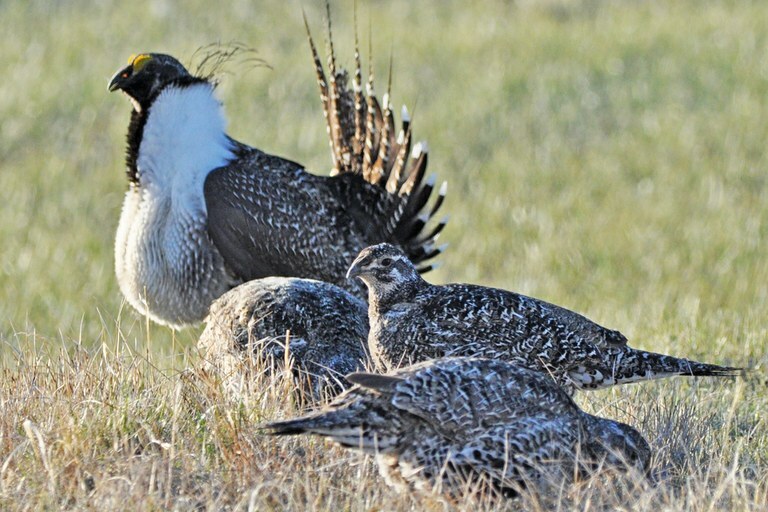 “The bottom line is that the sage grouse, at least in Montana, are in a much better position going forward … than they were 6 to 8 years ago,” Dan Vermillion, the chairman of Montana’s Fish and Wildlife Commission, said in a press call Thursday. A greater sage grouse hen and her brood in the wetlands of Wyoming's Seedskadee National Wildlife Refuge. “The absolute nightmare scenario is that the populations decrease significantly because we haven’t kept more of the habitat,” O’Mara said Thursday. 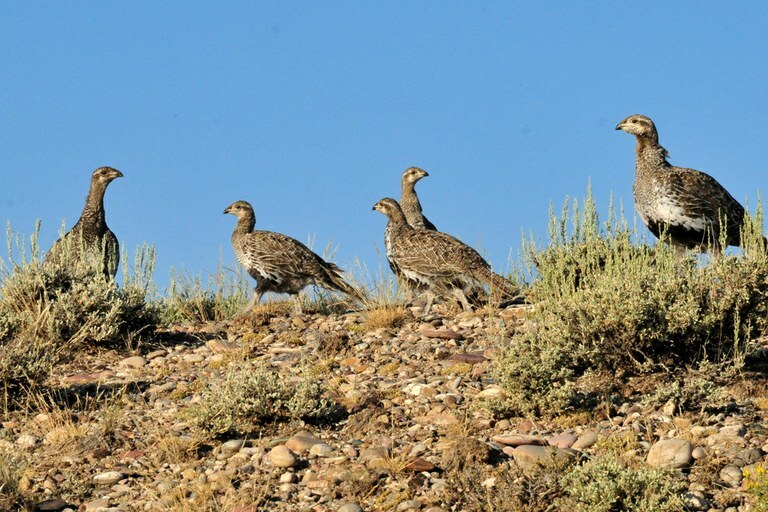 That could result in exactly what the plans were meant to forestall: endangered species protections for the greater sage grouse, which would impose much more onerous regulatory requirements than those stipulated under the 2015 plans. The public can make those comments here.